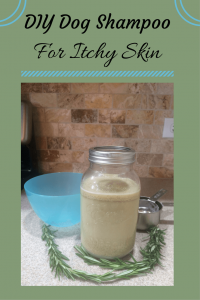 Creating homemade dog shampoo for itchy skin is not only economical, but is fairly easy to do. In addition, you can feel better knowing the ingredients are all natural and void of the chemicals that can be found in commercial shampoos. On occasion I have caught my dog biting at his paws, which the vet has determined to be mild seasonal allergies. In addition, our foster dog has sensitive skin that gets dry, and itchy, if we are not careful to treat it with care. Even the very best of human shampoos should never be used on a dog since their skin is much different than ours. 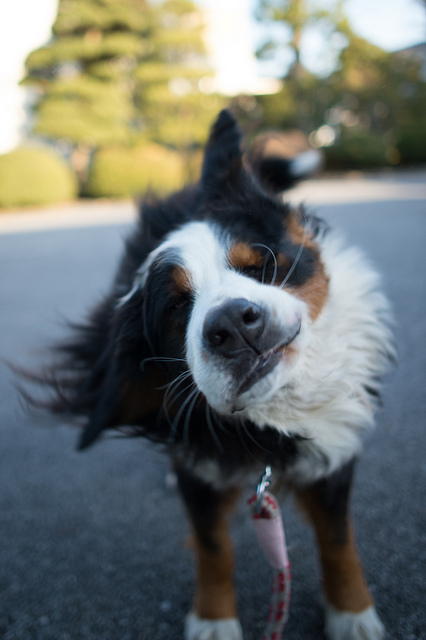 Using human shampoo can be an irritant, making a dog’s dry and itchy skin even worse, in addition to leaving behind a dull and lifeless coat. A while back I noticed that our foster dog’s fur wasn’t looking quite as shiny and gleaming as it used to. His paws were also looking a bit pink and he was biting at them. I then came to realize that human shampoo was being used for his baths (which he needs more frequently than we would like, due to doggy doo- doo sticking to his behind…ugh). Since then I’ve been using the below recipe for my dog’s DIY shampoo and it has served them very well. To date, their skin is looking fantastic and their coats have remained sleek and shiny. It may be a bit of work, however, I’ve tried other DIY dog shampoos and have not found them to work nearly as good as this one. Rosemary – helps to moisturize your dog’s skin, and condition the fur. Known to be an anti-inflammatory herb that can assist in reducing redness or swelling. Helps to fight off harmful skin bacteria. And, as an added bonus, it is also used as a flea repellant! Peppermint Essential Oil – peppermint is related to rosemary, so I thought it a great addition to the recipe for scent and freshness. It is also considered an anti-inflammatory. It’s purely optional, but certainly a nice little extra. Place 1 fresh rosemary stem into 1 quart of water and bring to a low boil. Continue to boil for 15 minutes. While the rosemary water is preparing, grind oatmeal into a flour by placing it in a food processor, or coffee bean grinder. Once rosemary water has boiled for 15 minutes, add the coconut oil; stir and dissolve. Let cool to room temperature. Pour rosemary water through a mesh strainer, or colander (to remove rosemary pieces), into the oatmeal/baking soda mixture; stir well. Next step…get that pup wet, and pour on your DIY shampoo! It will not suds up like soap, but will have a creamy, silky texture that tends to stand on your pup, rather than slide right off. Which is a good thing because you want the oatmeal to sit on the skin as long as your pup will allow. I pour it on my pup’s paws first (since this is their trouble spot) to ensure it has time to sit for a while prior to being rinsed off. 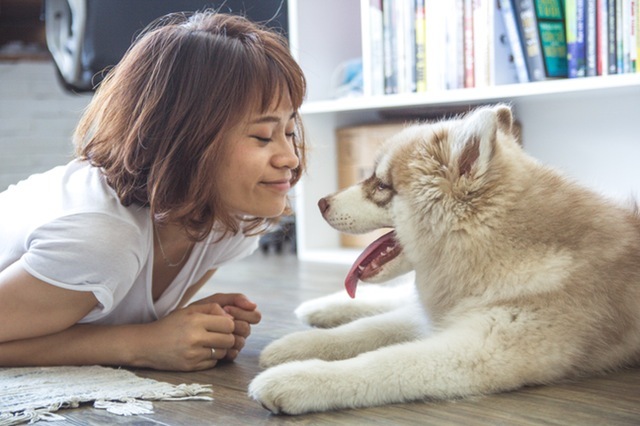 What To Buy For A New Puppy Why Does My Dog Keep Shaking His Head? Slime on Dog Dishes – What is it? Is There Such Thing As Hypoallergenic Dogs? Why Is My Dog So Itchy? 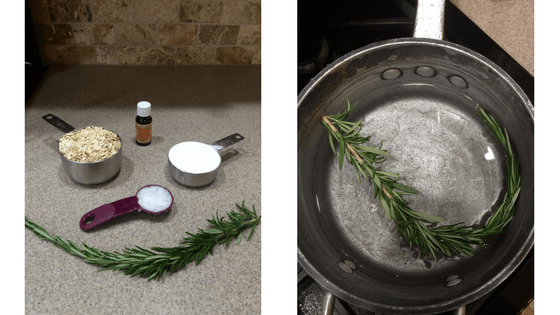 Have you ever thought to or tried using rosemary essential oil instead of boiling fresh rosemary? Thanks for any insight. Hello! I have not used rosemary essential oil, however, as long as the oil is diluted, and used in the appropriate dosage it is cited as being safe for dogs. It should not be used for dogs with seizures, or that are pregnant, or on puppies though.